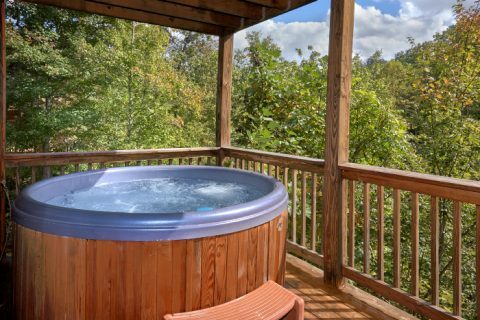 Find yourself at "Falcon Crest" for your Gatlinburg vacation in the Great Smoky Mountains of Tennessee! 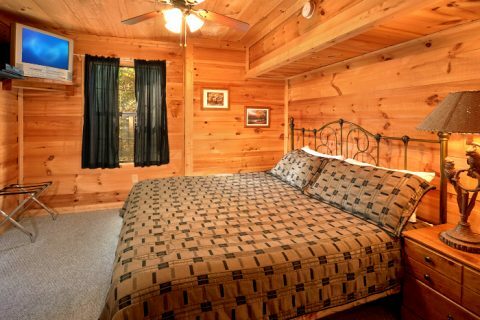 This spacious cabin sleeps up to 8 guests in comfort, so you can bring the whole family to your own private cabin in the mountains. 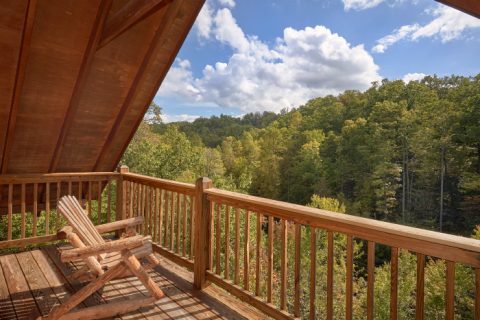 From this rental's peaceful location, you can enjoy both a serene forested setting and a central area for reaching big attractions like Dollywood and the Great Smoky Mountains National Park. 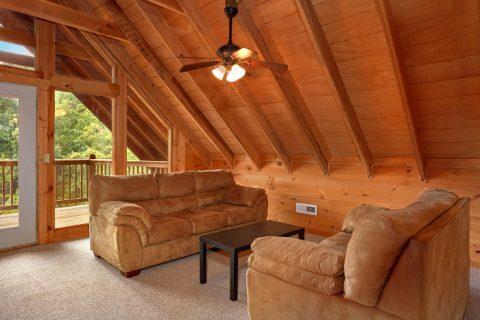 Back at your cabin, you'll find plenty of ways to enjoy your retreat in the mountains. 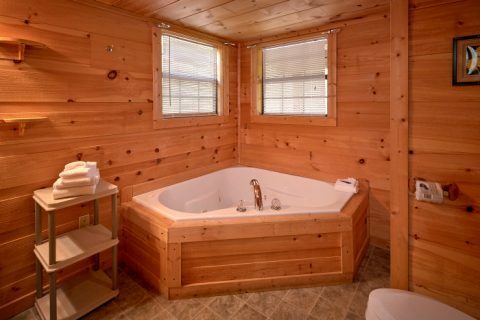 With great features like a hot tub, jacuzzi, and a game room, your family will be glad that you chose a cabin with such excellent amenities. 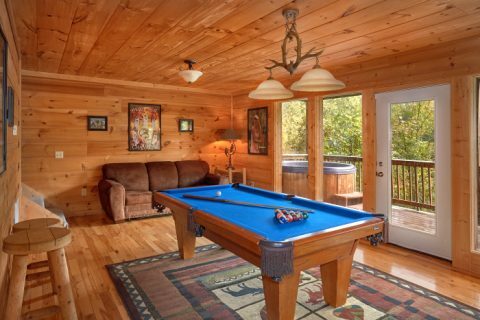 If rain or poor weather causes a change in your vacation itinerary, "Falcon Crest" offers a full game room as a great backup plan. 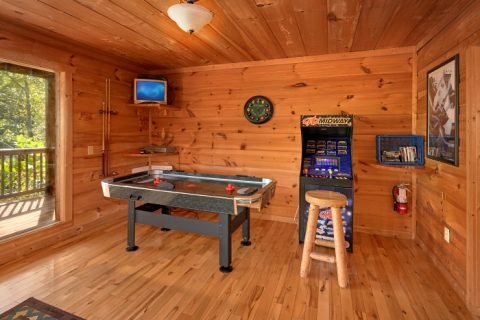 With the pool table, air hockey table, stand-up arcade game, and a stereo offer hours of entertainment for the kids. 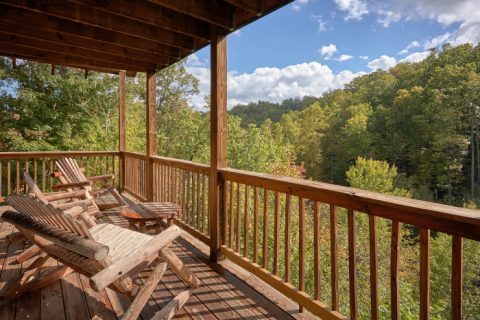 Meanwhile, you can unwind and relax on your cabin's deck surrounded by the sights and sounds of nature. 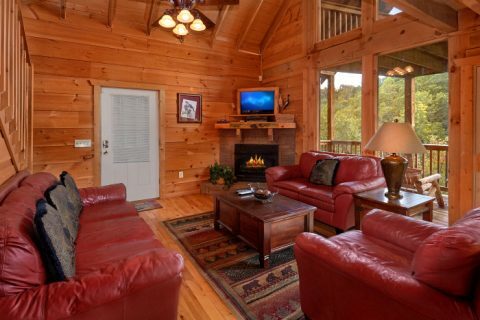 On the main level of your cabin, you'll find the living area complete with leather furnishings, a fireplace, and a flat-screen television with a Blu-ray DVD player above the mantel. 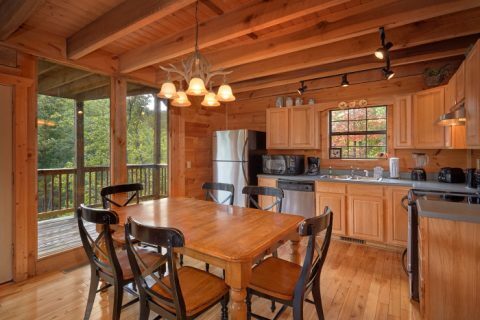 Although there's a great selection of restaurants in nearby Gatlinburg and Pigeon Forge, your cabin offers the option of cooking your own meals with the sleek, fully equipped kitchen. Additionally, a charcoal grill, porch chairs, and a table on the deck create a prime place for hosting a cookout in the great outdoors. 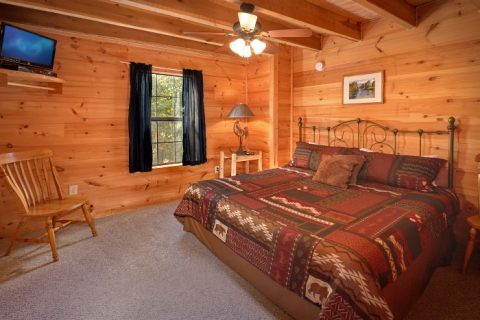 This premium cabin also provides practical amenities like WiFi Internet a washer/dryer to make your trip a breeze. 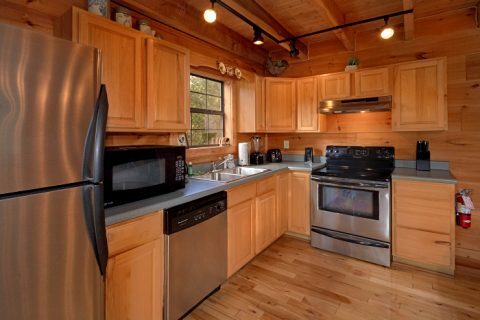 This rental offers 3 bedrooms that each offer king-size bedrooms. 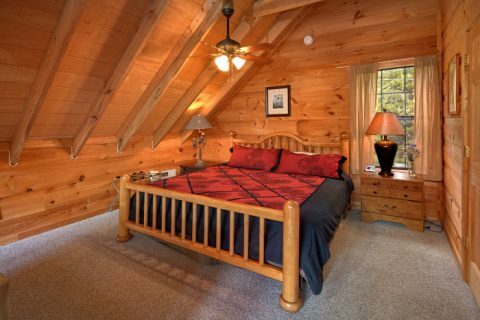 With a sleeper sofa in the game room, "Falcon Crest" comfortably sleeps up to 8 guests. Reserve your cabin today and save on your nightly rate with Cabins USA Gatlinburg's discount! 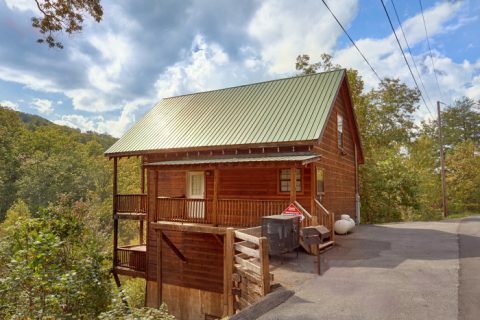 You can stay in the heart of the Smoky Mountains in Sky Harbor resort in an excellent cabin for a truly affordable vacation!